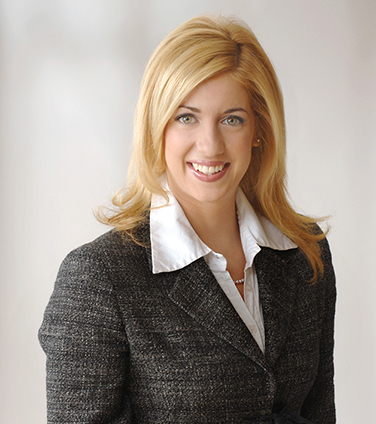 Lauren is a Partner in the Osler litigation group and a key contact for the Commercial Arbitration and ADR Group. Her corporate litigation practice has particular emphasis on class action defence, securities litigation, regulatory investigations and international commercial arbitration. Lauren represents various companies facing class actions in a variety of circumstances, including claims of environmental property damages, securities, product liability and pensions and beneﬁts. She has experience at all stages of a class proceeding, including certiﬁcation motions, various procedural motions, a large common issues trial and appeal, and costs proceedings. Lauren’s securities litigation practice involves expedited hearings before the Ontario Securities Commission, oppression claims and corporate governance matters. In the regulatory sphere, Lauren has experience with securities regulatory investigations involving multiple Canadian jurisdictions, and also in the cross-border context. Lauren's international commercial arbitration work has been primarily focused on the mining and resource industries. Lauren has experience with arbitrations under a variety of procedural rules, including as well as in ad hoc arbitrations. Lauren has appeared at all levels of court in Ontario, and has spent some time with Osler’s Calgary office, during which time she appeared before the Alberta courts. Vale (Inco) Limited in a class action trial, and the successful appeal of the trial decision (leave to appeal to the Supreme Court of Canada denied). Lauren also acted on various motions before, during and after the common issues trial including a decertification motion, a motion to disqualify one of the plaintiff’s expert witnesses, and a motion to amend the common issues subsequent to the close of trial. The Canada Mortgage and Housing Corporation in class proceedings dealing with pension surplus and plan amendments, involving complex procedural issues. General Motors of Canada Inc. in class proceedings brought on behalf of a group of former employees in respect of their entitlement to pension benefits following their change of employment. Magna International Inc. in opposing the application before the Ontario Securities Commission, brought by Staff of the OSC and intervening institutional shareholders in opposition to the company’s dual-class share capital reorganization. Merrill Lynch Canada in a proposed class action alleging mismanagement of client accounts. A large global manufacturer of water treatment facilities in a complex multi-jurisdictional product liability case involving many parties. Annual Review: Commercial Arbitration 2019 (L. Tomasich), Financier Worldwide, March 2019. Mondaq Comparative Guide to International Arbitration, Canada (M. Gelowitz and L. Tomasich), January 2019. Annual Review: Litigation & alternative dispute resolution (interview), Financier Worldwide, November 2018. Newfoundland Court Affirms Public Policy Objective of Upholding Commercial Arbitration Agreements (P. Ivanoff and L. Tomasich), Canadian Arbitration and Mediation Journal, Fall/Winter – Volume 26 No.2, 2017. Ontario overtime class actions: A map for certification? (L. Fric and L. Tomasich), Canadian Employment Law Today, Mar 20, 2015. Re-Arranging the Arrangement Landscape: The Implications of Re Magna International Inc. (C. Lockwood and L. Tomasich), Canadian Bar Review, Vol. 89, No. 3.